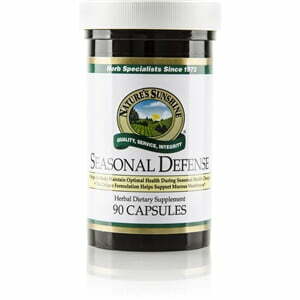 Nature’s Sunshine Seasonal Defense blends herbs that protect the immune system during seasonal changes. Andrographis, Fructus aurantia (six percent synephrine extract), thyme, oregano, and eleuthero root work together to provide immune support. 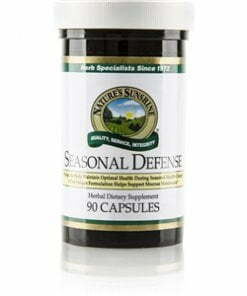 Commonly used in Ayurvedic medicine, andrographis, a key ingredient of Seasonal Defense, promotes proper immune-response functions, eliminates toxins, and supports respiratory muscular health. The synephrine found in Fructus aurantia keeps the respiratory tracts mucous membrane working properly.